A team of specialists from the Institute of Biomedical Research at the National Autonomous University of Mexico (UNAM) is developing a vaccine against HIV / AIDS and cancer. An experimental trial has demonstrated success by inducing serum in mice and has been highly neutralizing towards those ailments. 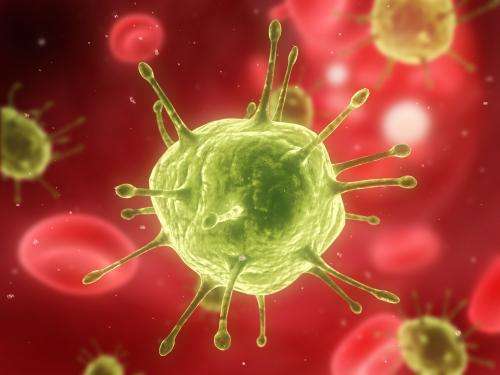 The research group hypothesized that HIV vaccine should be able to induce both humoral and cellular response, the two main mechanisms of defense against pathogens. To face the challenge of antigenic variation of the virus, researchers hope the development of vaccines based on variable epitope libraries (VEL's) can counteract this obstacle. Epitopes are small fragments of an antigen recognized by the immune system. Dr. Karen Manoutcharían, head of the research, explains that to treat with antigenically variable pathogens requires building a no less complex immunogen that the target itself, incorporating antigenic variability. The VELs confront the enormous variability of pathogens such as HIV, hepatitis, influenza, malaria, dengue and cancer. Therefore, the proposal of the research group is "a new concept of vaccines that can incorporate antigenic diversity into a vaccine," says the specialist at UNAM. Dr. Manoutcharían indicates that conventional vaccines are based on total antigens but the application of this model to antigenically variable pathogens is unsuccessful because the high variability of pathogens allows them to escape recognition by the immune system. The application of this new concept produced vaccines capable of inducing broadly neutralizing serum in mice against HIV; the resulting neutralization is the best in its class compared to other vaccines based on epitopes. Applying VEL-based vaccines in a mouse model of breast cancer allowed researchers to reduce tumor growth and lung metastasis mediated by the activation of lymphocytes T.
The main problem with cancer vaccines is the high antigenic variability of cancer cells mediated by mutations, which appear as a result of genetic instability. An additional challenge in generating vaccines against cancer is the inability to break immune tolerance against the patient's own proteins, as these cancerous cells present an antigenic profile almost identical to the profiles of healthy cells of the same individual. Using the concept of VELs, specialists at the Biomedical Research Institute developed vaccines against breast cancer and melanoma in mouse models. The results of the research group are highly promising as a universal concept for the generation of vaccines against antigenically variable pathogens and cancer. These findings are the result of years of research and have been published in international journals such as Molecular Immunology, Vaccine and Human Vaccines, and Immunotherapeutics. This is a bit vague and sounds more like science fiction.